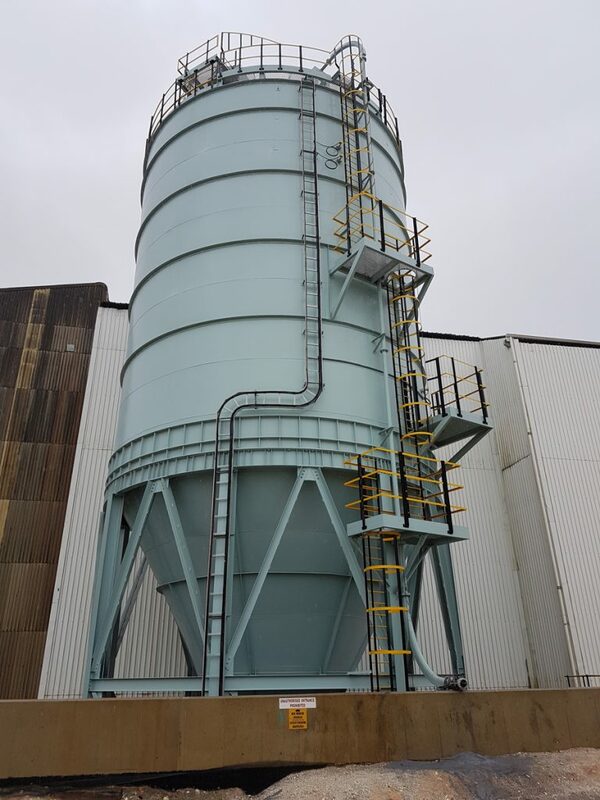 Fly ash reclaim system consisting of aeration pads , Rotary valve and screw conveyors. 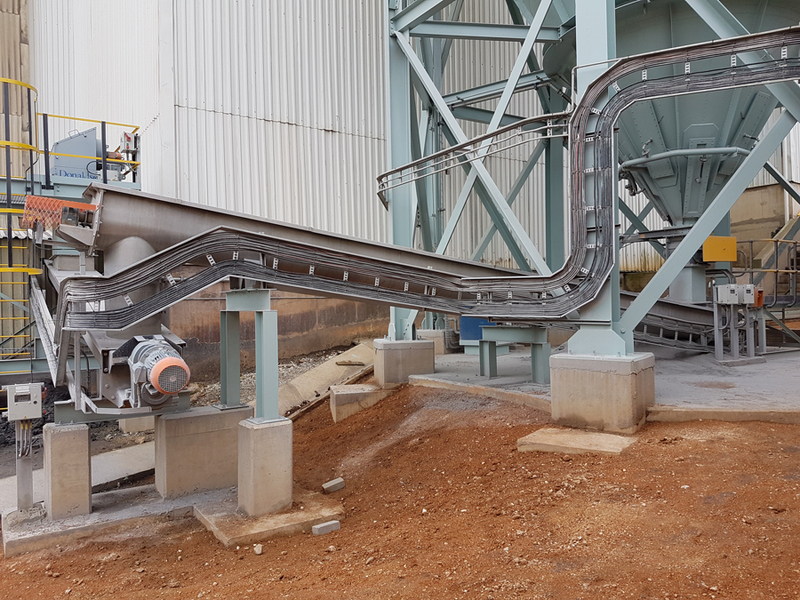 Conveyor feed system consisting of a surge bin, variable speed rotary proportioning valve with a dust extraction filter system. Turnkey including Design, engineering, supply, erect, commissioning including the E & I system.